Mountain_Rock_1.............33730 polygon. ........16867 vertices. 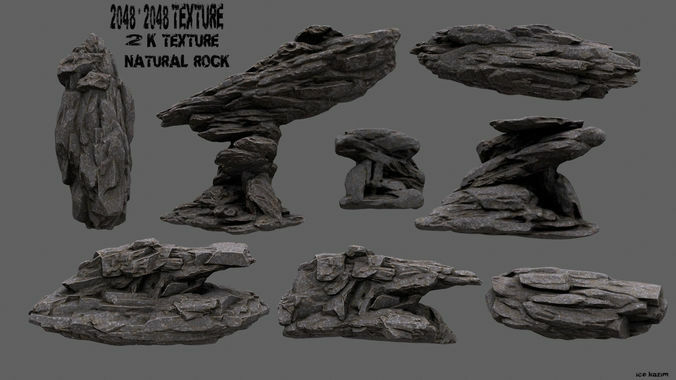 Mountain_Rock_2.............21838 polygon ........10921 vertices. Mountain_Rock_3.............16524 polygon ........8264 vertices. Mountain_Rock_4.............30364 polygon. ........15184 vertices. Mountain_Rock_5.............15998 polygon. ........8001 vertices. Mountain_Rock_6.............47554 polygon. ........23779 vertices. Mountain_Rock_7.............44736 polygon. ........22370 vertices. Mountain_Rock_8.............43374 polygon. ........21689 vertices.